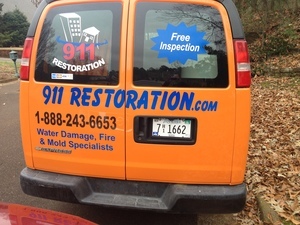 Taking on the various challenges that spring up from a pipe burst, water heater failure, or even a flooding situation requires total professionalism and this is why 911 Restoration Central Mississippi owner Richard Lee Sims, and his water damage Pearl team are fully licensed, insured, and bonded to handle anything. 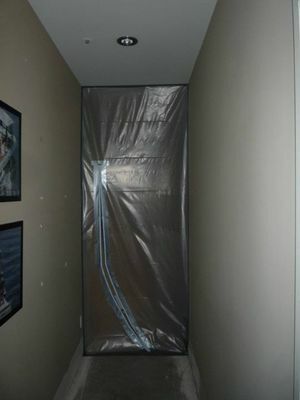 Richard and his water damage Pearl professionals are well aware that the best way to mitigate the losses experienced during a water invasion is to be at the site early and this is why they can arrive within 45 minutes of the call they get for help. In addition to being at the scene immediately, Richard and the water damage Pearl team are also available 24/7/365 to take care of any restoration concern you may have. So if your home is already amid a flooding crisis and you want the best there is to make your home like new again, then don’t wait another minute to contact Richard and the water damage Pearl team with 911 Restoration Central Mississippi today! 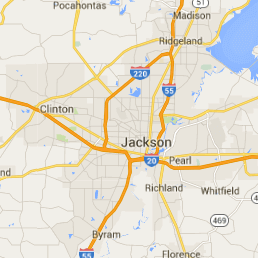 When it comes to alleviating the challenges that a water damage event can inspire, there is no one more qualified and ready than Richard and the water damage Pearl crew with 911 Restoration Central Mississippi, but they are also highly praised for their ability to help people prevent such incidents in the first place too. Trim the trees around your property so that if there are any dead limbs overhanding your home that they don’t crack, snap off, and fall into your roof unexpectedly. This can lead to huge amounts of water damage when you’re least prepared for it. Make sure to check the hoses, rubber fittings and connectors that link up your water-based appliances to the main line. These can experience wear and tear and eventually fail. Let a restoration expert or plumbing professional come and inspect your whole system at least once every few years. This will ensure that if there are any small obstructions that they don’t grow to become large ones when you aren’t prepared for a pipe burst. Point the discharge from your gutters and downspouts away from your foundation by at least five feet to prevent submerging your lower layers and liquefaction effects in your foundation. If your home is already experiencing the effects of water damage from a pipe burst, water heater loss or any other means, then contact Richard and the water damage Pearl team with 911 Restoration Central Mississippi today! 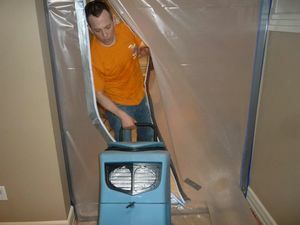 Many times Richard and his water damage Pearl team encounter projects that are half finished because they get called out to fix a water damage invasion when a homeowner is mid-way through a DIY project of their own. Recently Richard and his team encountered a home DIY project where the homeowner had put a screw through the water line that connected their washing machine to the main. If your home is already amid a flooding incident from a home DIY project gone wrong, then don’t wait another minute to contact Richard and the water damage Pearl team with 911 Restoration Central Mississippi and let the experts help with everything today!